A few weeks ago, at the beginning of our radio show The Marketing Checklist, I talked about this pdf I found by one of the tools we use that provided 30 steps to build a thriving facebook business page, and Hank suggested I share it with our blog readers. 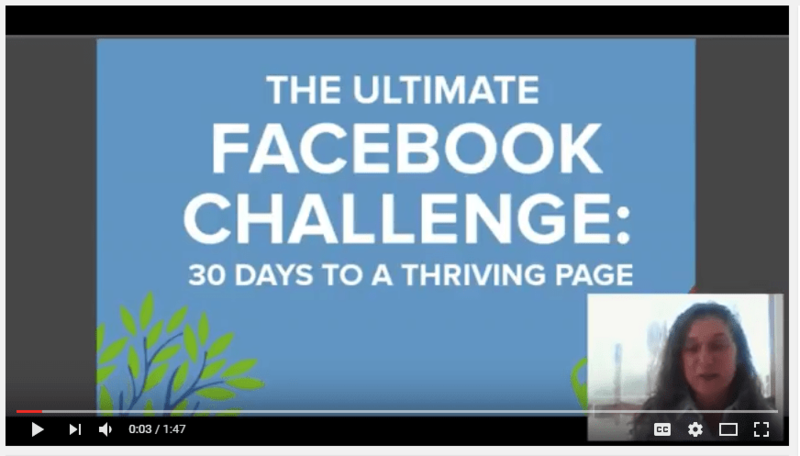 The writers at SetYourOwnStatus.com provide a 30 Day Facebook (business page) Challenge. (full disclosure: this is our affiliate link, so, if you choose to sign up for this service, we might make a few dollars). After reviewing the Table of Contents, I surmise that it can be done in far less time because many of these steps shouldn't take you more than a few minutes so you can double up. Want the full 74 page pdf? Add your contact info in the box below and we'll email it right out to you! If you decide you need some help, spend 5 minutes at aBoxFullOfMarketing.com and schedule a free 30 minute consultation with us.